FanimeCon would like to welcome THE BEAT GARDEN as our MusicFest 2019 Guests of Honor! This amazing quartet of three vocalists and one DJ formed in August 2012 after vocalists U, REI and MASATO met in Osaka. They released two albums, WILL in 2015 and AIR in 2016, before DJ SATORU joined the group in late 2015. They performed multiple sold-out concerts at venues and festivals across Japan before releasing their first major label single, “Never End” with Universal Sigma. Their second single “Promise You” was featured on many radio programs, eventually becoming so popular that the band was featured on the Radio On-Air Chart and reached Number 1 on Billboard’s Airplay Chart. Soon after they released their major label debut album I’m, which placed fifth on the Oricon Daily Ranking Chart. The album also included their song “Walk This Way” which became the second opening theme for the popular anime Rage of Bahamut: Virgin Soul. In 2018, the band organized their first live event, KOKOROZASHI ALIVE. Soon after came their single, “Sonna hibi ga tsuduiteiku koto” and a solo concert, which quickly sold out. 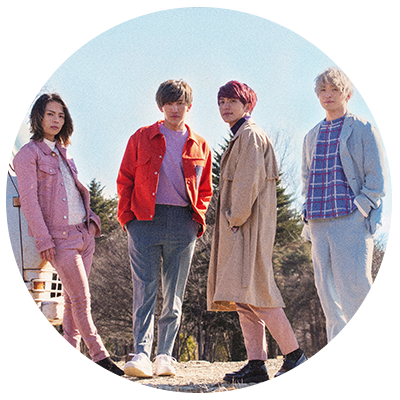 THE BEAT GARDEN has started 2019 off with a bang by releasing their latest album Message on March 20th and embarking on their largest solo tour since they started making music, including their performance at FanimeCon!